This page has been viewed 56 times this month, and 14803 times total. Cartoon Characters: Frosty, Professor Hinkle, Santa Claus, Karen, Ticket Agent, Hocus Pocus. Voice Actors: Jackie Vernon, Billy De Wolfe, Paul Frees, June Foray, Jimmy Durante. Directed By Arthur Rankin Jr., Jules Bass. Produced By Arthur Rankin Jr, Jules Bass. Music: Walter E. Jack Rollins, Steve Nelson, Maury Laws. Originally Released on December 07, 1969. You can watch this cartoon today on your computer. 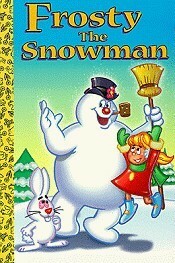 Just click below to start viewing "Frosty The Snowman" online now. Do you have anything to add to this page? Have we made any mistakes... or do you have any additional information about Frosty The Snowman? If so, we would love to hear from you. Please send us a quick note with your additions or corrections to this page, and we will make the corrections as soon as possible! Below are comments about this cartoon submitted by people who have seen this show. Take a look and see what others have said about Frosty The Snowman. We want to know what you think, too!! Feel free to share your own opinion- we do want to hear from you! You can add your own comments here. 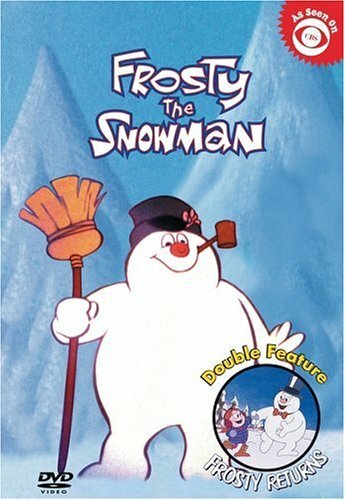 Frosty The Snowman by Big Cartoon DataBase is licensed under a Creative Commons Attribution-NonCommercial-ShareAlike 4.0 International License.